treaty recognizes the right of the Nisga'a people to live where they have always lived, and to own and control the land they live on. 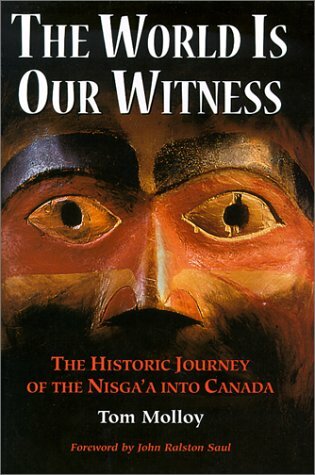 The World Is Our Witness traces the history of the Nisga'a and their claim, details the elements of the treaty, and offers an analysis of the characters, political intrigue, and opposition to this historic deal. It provides an essential foundation for understanding the future of Native American land claims and battles for recognition.